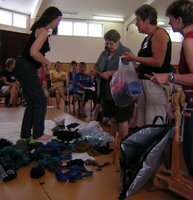 Tracy White introduced her brand of blended fibers which she calls "fiber sandwich". 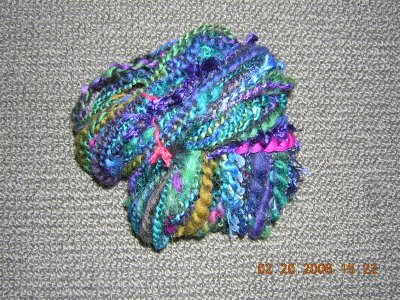 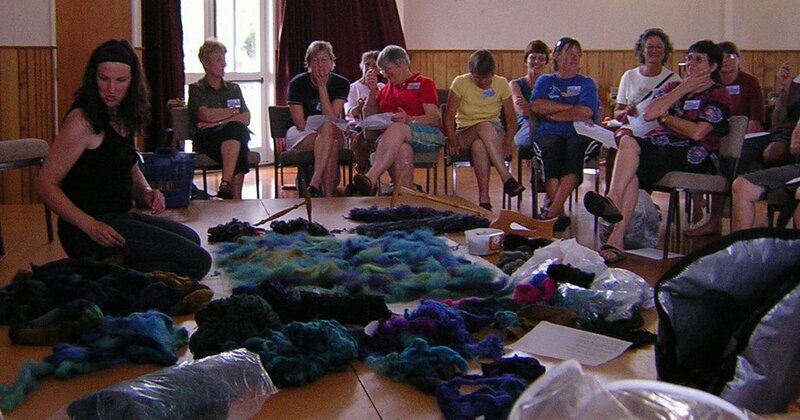 This is my skein spun from the fiber sandwich. 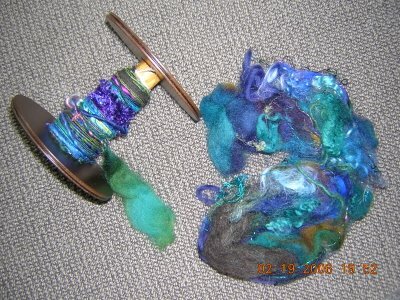 Photos below show how the fiber sandwich was created. 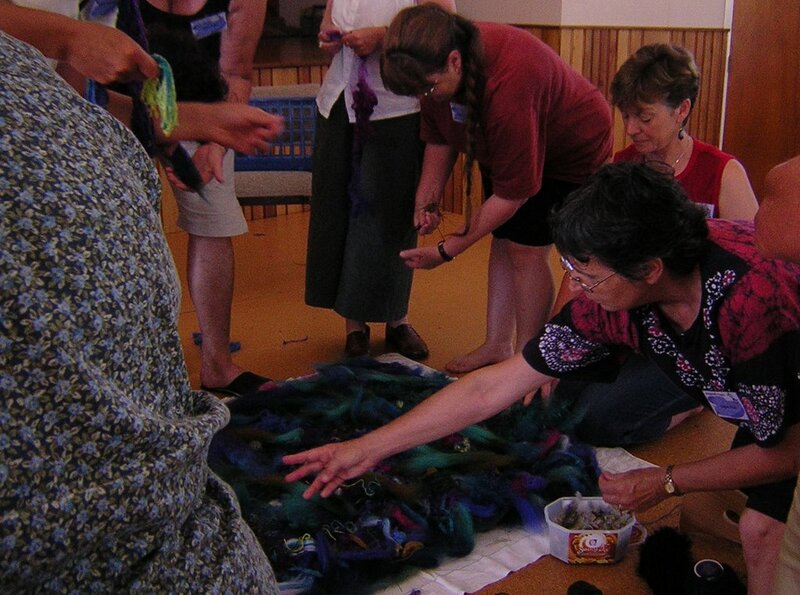 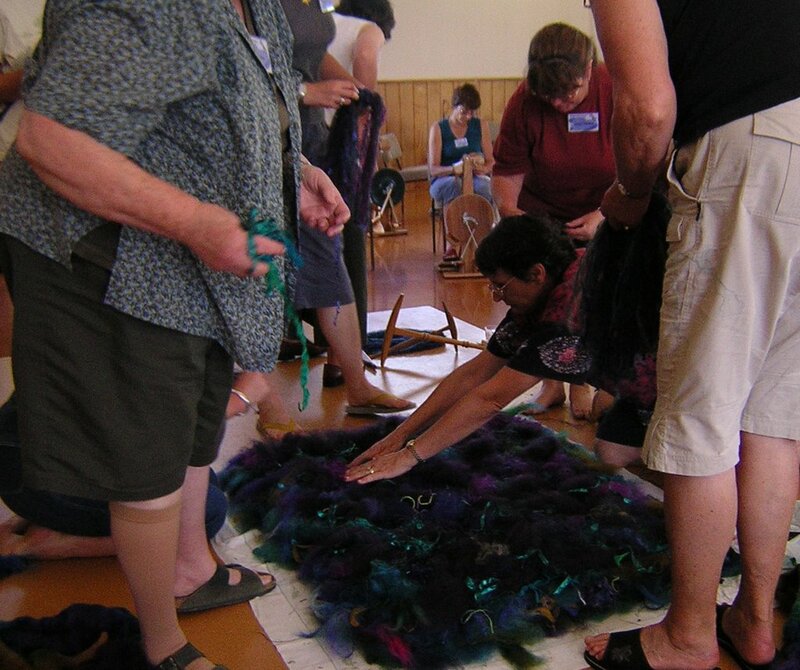 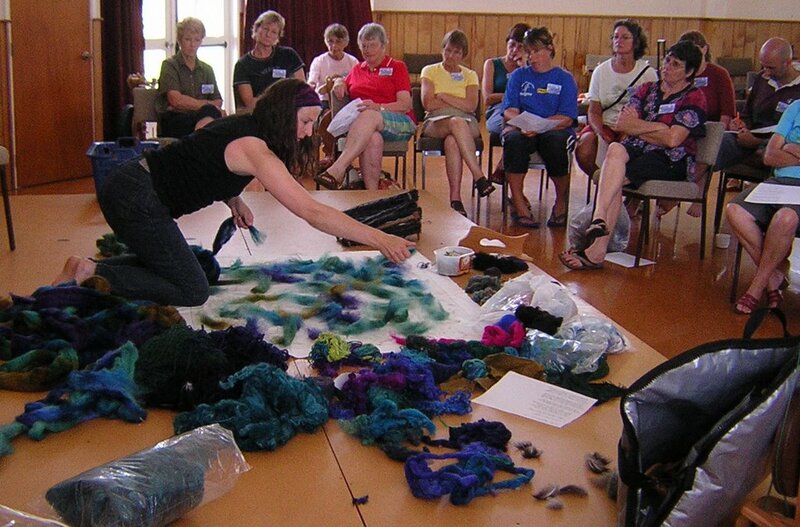 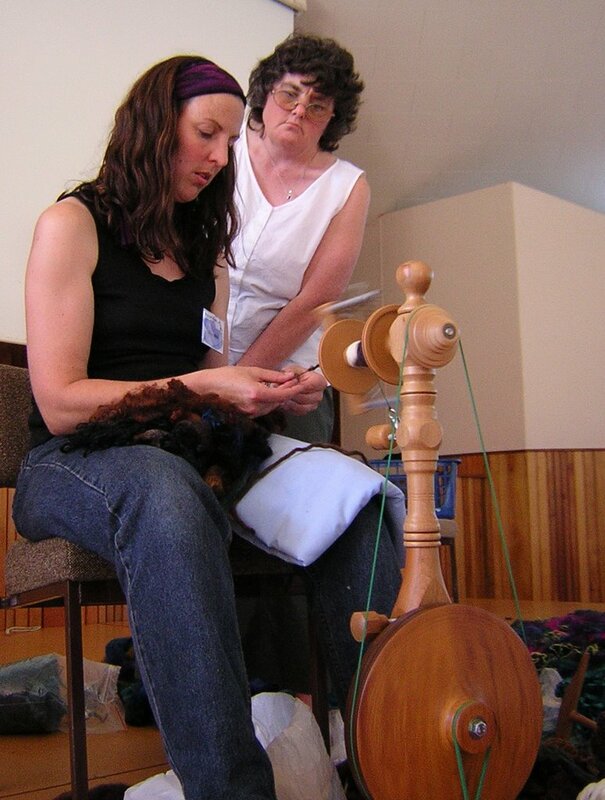 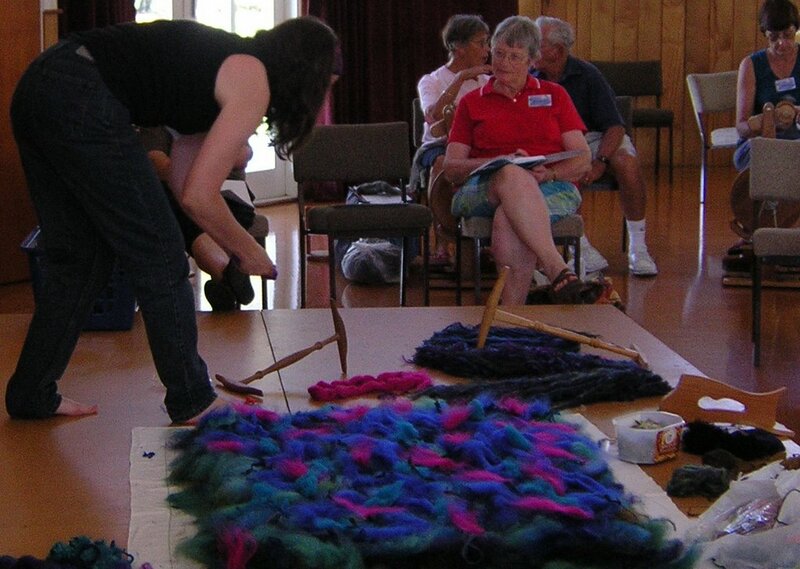 Tracy shows how to spin and connect fiber, commercial yarn, and strips of fabric. My piece of the sandwich, up close and half-spun.